Whether at home or in the office it can be easy for the piles of paperwork to take over. No matter how hard we might try to cut down on the paper we use – opting for paperless bank statements, cutting down on printing out emails, asking for emailed receipts – somehow it never seems to get rid of it completely. A few months of ignoring it, popping it in the in-tray or in a pile on the kitchen table, and suddenly it seems like a monumental task. 1 – As a business, it’s well worth considering archiving or a document management system. At McCarthy’s we take care of your paperwork for you, keeping it carefully filed in case you need it (or out of your way if you don’t!). Our document management service works by sending you boxes and individual bar codes for you to file away the paperwork you want us to store. We then take them away to be stored in our secure warehouse, using the barcode to ensure we know exactly where each box is. Some documents you may just be keeping hold of for legal reasons and may never need again (in which case we can arrange to carefully destroy them on a given date). Other boxes you may need to refer back to – if that’s the case, just give us a call and we can get it back to you within hours. 2 – Self storage can be a great place to store paperwork if it’s taking over the office. 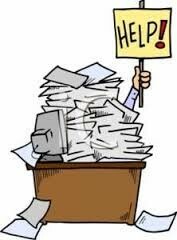 Office space is expensive, and it’s pointless taking up huge amounts of space with filing cabinets and boxes full of paperwork you rarely need to access. 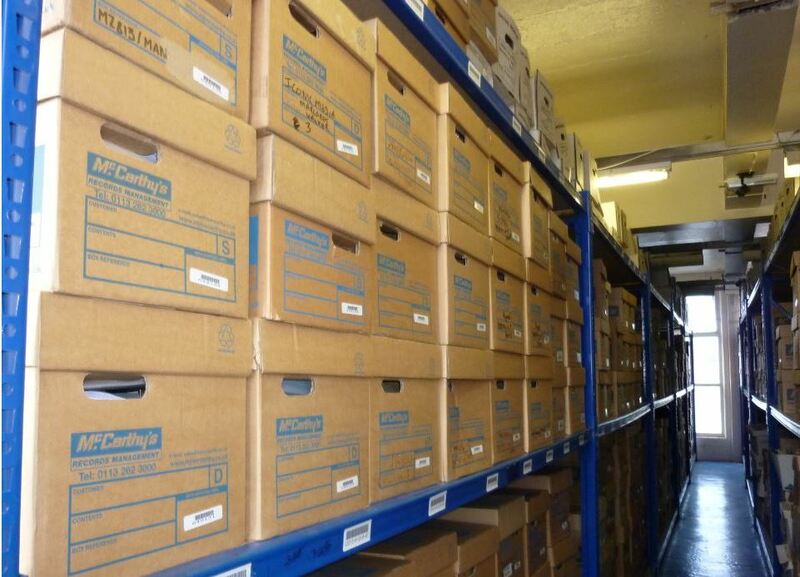 Transfer these to self storage and you can still manage your own filing – and gain access whenever you need. Leaving you to put that office space to better use! 3 – Once paperwork is no longer needed, shred it. Identity theft-based crime is at an all time high, and whether you’re a business or an individual, it’s not something you can risk. GDPR demands businesses of all sizes take extra care with any personal data they hold. The safest way to destroy data is through a professional shredding service. This can be done on an ad hoc basis, in bulk, meaning you don’t have to stand there feeding individual sheets through a home shredder – especially given they always overheat after a few! Our shredded paper is then recycled – sent off to UK companies to be made into paper towels. We offer business and personal shredding services. 4 – Consider a regular shredding service to keep on top of paperwork. We offer a regular service to businesses, with a lockable console for your office which staff can fill with paperwork to be destroyed. Once it’s full, or on a given date, we come and remove it – taking it to our secure warehouse to be shredded. We provide you with a certificate of destruction so you can feel confident it’s all been done properly. 5 – After your big clear out, implement some simple, easy rules to keep on top of the paperwork. Make sure you have some clever storage solutions to help you keep on top of things – but which don’t encourage you to just stick all the paper somewhere to ‘deal with later’. At home make sure you have a set day a week to ensure mail is opened and dealt with – filed away or shredded accordingly. In the office set some guidelines for yourself and staff – only print where necessary and set the printer to double side print as a default. Make sure people are careful to only print the pages they need, if printing is essential. Opt for paperless statements and bills where possible. If you receive unwanted junk mail or magazines, get in touch with the company and ask to be removed from mailing lists. Use wipeable white or black boards for lists, rather than sheets of paper – or an electronic device.